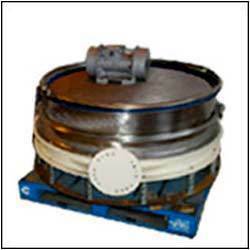 Leading OEM Manufacturer of vibrating screen, rectangular vibrating screen and vibro shifters from Ahmedabad. We are regarded in the market as a prominent manufacturer, exporter and supplier of Vibrating Screen that is manufactured from utmost quality of raw material. Its optimum quality & dimensional accuracy ensure its durability standards required at the industrial front. Moreover, these screens are praised by our large customer base for their features like sturdiness, precision, and workability. These screens are available in market at affordable rates and from our side we make sure that no delays will be made in the delivery of products as most of our customers are reputed Government and Non-Government entities. We are among the reputed names of the business, proffering Rectangular Vibrating Screen. 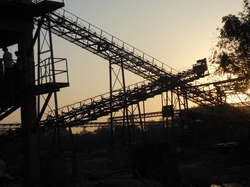 Widely demanded in cement, food processing, sugar, spice manufacturing and salt industries. The offered products are available with us in various technical specifications and offered by us at economical prices. We are engaged offering high assortment of Vibro Shifters to our esteemed customers. Our offered product is fabricated using superior quality raw components and designed as per the customer’s given specifications. Vibro Shifters is highly demanded by our customer for its noiseless performance, low power consumption and many other features. Moreover, we are offering our product at reasonable price to our customers.